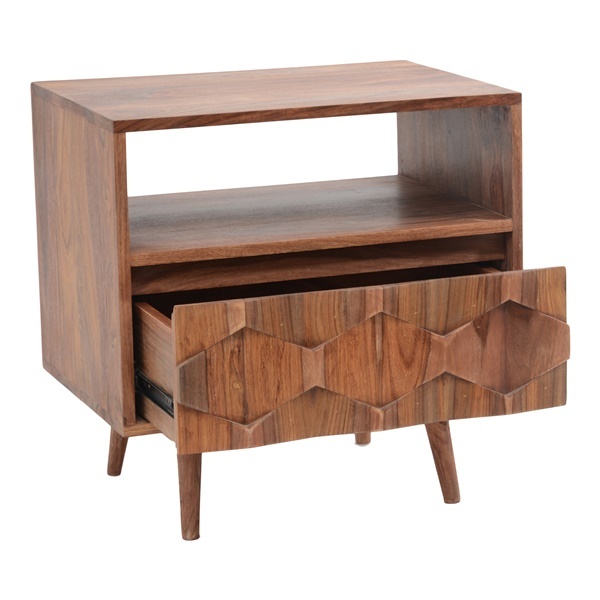 The O2 Nightstand from Moe’s Home Collection simultaneously embodies retro and modern design. Crafted from solid sheesham wood, this piece is built to withstand the most spirited alarm clock hits. A shelf on top and an oversized drawer on the bottom provides ample storage and easy access to your belongings at all hours of the night, while a beautiful diamond pattern perfectly rounds out the natural wood finish. As you drift off to sleep, put it all on the O2 Nightstand. It will be there when you wake up. Sweet dreams.